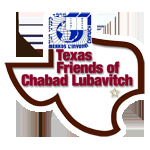 2018 Chanukah across Houston - Hanukkah Menorah - Chabad Lubavitch Center - Texas Regional Hdqrtrs. Kickoff Chanukah with a grand Menorah lighting and party! Latkes and Doughnuts will be served! 5:00pm at Rice University 6100 Main St. In the center of the shopping district, light Uptown Menorah lights up the Galleria area. In cooperation with the Uptown District, sponsored in part by Post Oak Bank. 6:30-8 pm at "Sofa Park" San Felipe Blvd & S Post Oak Ln. Giant Menorah Lighting with dignitaries. Entertainment for the whole family! The Chanukah Mommy & Me program offers a great opportunity to meet other moms, share experiences, discuss child growth and development. 9:30 am Chabad of Uptown 4311 Bettis Dr.
Grand Menorah Lighting for the whole family! Grand Menorah Lighting and entertainment for the whole family! An evening of laughs and astonishing illusions with world class performer Ilan Smith! Join the largest Houston Chanukah party for Jewish young professionals in their 20’s and 30’s. Nosh Bar, Drinks, Music, Sufganiyot & Latkes Sunset Menorah Lighting at Sea! Special Hotel Room Rates. 4:30-8 pm departing and returning to South Shore Harbour Resort. 5:30pm at Jersey Village City Hall,16327 Lakeview Dr.
From Chabad Outreach to Houston City Hall. Police Escorted Parade through the streets of Houston!